This is the story of the most amazing steak you will ever eat…. As thoughts of the most perfect grilled rib eye served with just the natural juices as a sauce, with roasted onions, carrots and fingerling potatoes fill your thoughts and your mouth starts to water, you may think you have gone to heaven. To be precise, this most amazing steak you will ever have —came from an Akaushi steer raised in the state of Texas by HeartBrand Beef. It’s a perfect steak with the most incredible color, texture and marbling. No matter if it is prepared by a famous chef or by you, the master of your own BBQ in the backyard, you will agree when you take a bite, that it is something you will always remember. HeartBrand Beef is one of the nations largest family owned branded beef companies in the U.S. and is the largest producer of Japanese Akaushi cattle in the world. HeartBrand prides itself in producing beef that creates the best eating experience you will ever have. Whether it is a ribeye, a strip, hamburger, hot dogs or beef jerky you’ll remember eating it. You’ll ask yourself, “Where did this beef came from” and it will leave you wanting more. These are common questions we get at Heart Brand. That’s why we held our “Story Behind the Steak” field day on April 14, 2018. It was a day created for cattle enthusiasts, foodies and just those who are curious about Akaushi cattle. 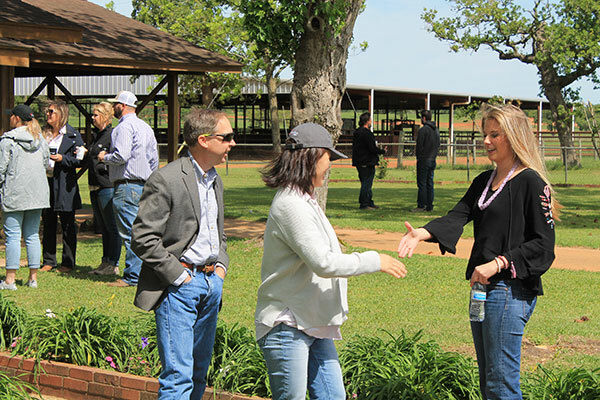 Those attending had an opportunity to come to the HeartBrand Ranch headquarters and spend the afternoon sharing food, drinks, good company and even a hay ride tour of the ranch. Jordan Beeman, President of HeartBrand Beef and staff were on hand to provide tours and educational programming along with just some time for one on one conversations with those that attended. 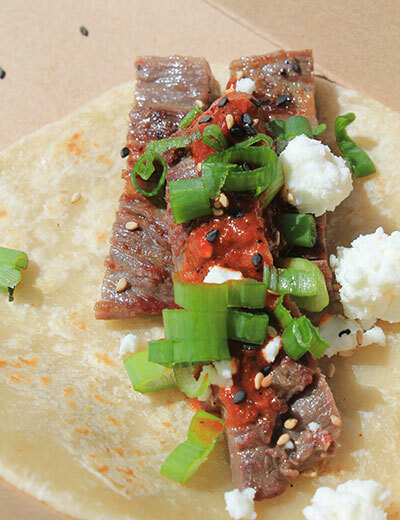 Taco Deli also joined HeartBrand for the day, serving the most amazing HeartBrand beef tacos. Shoppa Farm Supply displayed their tractors for participants to learn about, and Rebecca Creek Whiskey shared spirits that compliment the best steak you will ever eat. To satisfy your sweet tooth, a local honey farm shared their harvest of sweet delectable Texas honey. It was a great spring day with wildflowers, green grass and an opportunity to see what Akaushi cattle look like roaming the pastures and to hear from the HeartBrand staff on how the cattle are raised, harvested and ultimately presented on a plate for you to experience the most memorable steak you will ever have.